...or wouldn’t it be cool if it really was? 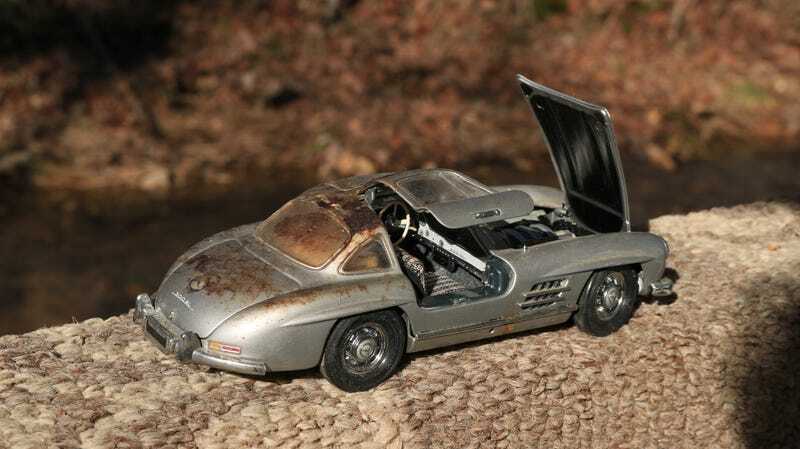 Found this 1/24th Danbury Mint (I think...I don’t have the car with me now) 300 SL cleaning out a bunch of my dad’s stuff recently. Would love to take credit for the ‘barn find’ condition, but it was Mommy Nature who gets that credit.